However, if we look outside official channels, there are a lot of whispers and leaks that can give us a good idea of what we can expect to see on August 9th. So it’s time to hit the rumor mill again. First off, for people hoping to see an all-new look for the Galaxy Note 9, I’ve got some bad news for you, because based on a tweets from @evleaks, it doesn’t seem like that’s going to happen. From the front, the Note 9 looks almost identical to the Note 8, while in back, the one big change is that now, the phone’s rear fingerprint reader is located below the camera module. The phone’s bezels also seem like they have been minimized a bit, but not totally eliminated. That said, at least there doesn’t appear to be a notch, which makes sense as Samsung is the only major phone maker that has completely avoided putting sensor cutouts on its devices. The other tidbit of info we can glean from evleaks’ tweet is a sample of the Note 9's new colors, which looks to include standard black, a new, darker shade of blue, and brown. 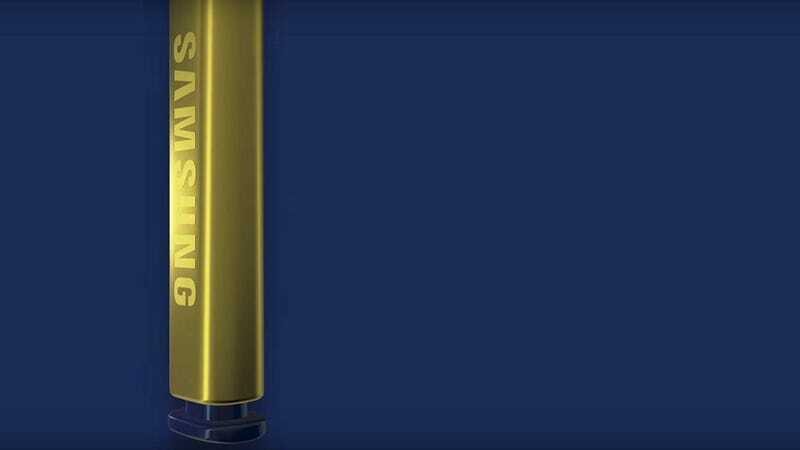 Interestingly, it seems the blue model will be the version that comes with the bright yellow S Pen Samsung showed in its original announcement, instead of having the entire phone sport that bold yellow hue. These changes have also been spotted in a shot posted by another noted leaker Ice Universe, which in addition to showing off that yellow and blue color combo, also seems to confirm that Samsung hasn’t killed the Note 9's headphone jack either. Now I have to remind you that it’s possible these rumors aren’t entirely accurate, but based on evleaks and Ice Universe’s solid track record for previous Samsung phones and Samsung’s pattern of only revamping the Note’s design every other year, the plausibility of these leaks being accurate is pretty high. Another small improvement on the Note 9, is that based on info from the Investor, it wil have a slightly larger 6.4-inch screen, versus the 6.3-inch display on the Note 8. Additionally, according to a video posted by MySmartPrice showing rumored Note 9 retail packaging, the phone will also feature IP68 water-resistance, 6GB of RAM, 64GB of storage, wireless charging, and a pair of headphones tuned by AKG. In the US, we’re expecting the Note 9 to feature a Qualcomm Snapdragon 845 chip, while those abroad may see a version with a Samsung Exynos 9810 processor as well. As for the Note 9's battery, 4,000 mAh should go a long way in delivering some seriously good longevity, with Ice Universe claiming that spec is 100 percent confirmed. And according to GalaxyClub.nl, it seems Samsung has also developed a faster wireless charger for use with the Note 9 that hits 12 volts at 2.1 amp, which should make it easier to recharge the Note 9's big battery. So what about improvements to the Galaxy Note’s most important feature: the S Pen. Well, according to Sammobile, the S Pen could be in line for its biggest upgrade ever thanks to enchanced Bluetooth functionality that would let Samsung’s stylus serve as a remote of sorts, capable of controlling music playback or triggering the camera shutter. There is even one report claiming that the S Pen could be used as a tiny Bluetooth speaker, but that seems a bit too far-fetched even for Samsung. And finally, for gamers considering purchasing a Note 9, 9to5Google reports that Samsung has partnered with Fortnite developer Epic Games to bring the wildly popular battle royale shooter to Note 9 as a limited-time exclusive (it is not on Android currently). Right now, some version of Fortnite is available on pretty much every platform including, PC, consoles and even iOS, so this exclusive means that the Note 9 would be the first Android device capable of playing Fortnite, and those who pre-order a Note 9 may even receive between $100 to $150 worth of V-Bucks, Fortnite’s in-game currency. According to Taiwanese site Digitimes, it seems after the Note 9 gets unveiled on August 9th, the phone will be available for sale shortly after, with ETNews saying Korean carriers will start selling the device on August 24th. As for price, all signs point to something in the same range as the Note 8, which cost around $930 at launch (depending on your carrier). [Update 7:00 PM] This article originally stated that the Note 8 has a vertical camera module, which is incorrect. We apologize for the error, which has now been corrected. [Update 7/30 12:45 PM] Based on a leaked ad from Indonesia discovered by Sammobile, a base model Galaxy Note 9 with 128GB of storage will cost 13,500,000 Rupiahs, which translates to about $940 U.S. dollars. That certainly ain’t cheap, but goes along with other rumors indicating that the Note 9 will cost about the same as the Note 8 when it launched last year.